Command & Conquer is a 1995 real-time strategy video game developed by Westwood Studios and published by Virgin Interactive. Set in an alternate history of modern day, the game tells the story of a world war between two globalized factions: the Global Defense Initiative of the United Nations and a cult-like militant organization called the Brotherhood of Nod, led by the mysterious Kane. The groups compete for control of Tiberium, a mysterious substance that slowly spreads across the world. Command & Conquer was a commercial and critical success, selling over three million copies and winning numerous awards. It has been cited as the title that defined and popularized the real-time strategy genre. The game was the first in the Command & Conquer series, which sold 30 million copies by 2009. To mark the 12th anniversary of the franchise, Electronic Arts, the current publisher and owner of the series, released the game for free in 2007. On November 14, 2018, EA announced they will do a remastered version of Command & Conquer (along with its expansion packs) and its sequel, Red Alert, in collaboration with Petroglyph Games. Command & Conquer requires the player to construct a base and to gather resources in order to fund the production of buildings, technologies, and combat units to attack and conquer an opponent's base. The game contains two playable factions: the Global Defense Initiative (GDI) and the Brotherhood of Nod. GDI units are sturdy and powerful, but expensive. Meanwhile, Nod armies are made up of a mix of cheap and numerous units, mixed in with unusual units such as rocket bikes and stealth tanks. As a result, GDI focuses on large-scale strategic attacks, while Nod creates bigger armies and uses unconventional tactics. There are roughly fifty units and structures in total. Tiberium, the game's sole resource, is gathered by harvester units that carry it to a refinery structure for processing. When the player constructs buildings, additional units and structures become available for purchase. Command & Conquer features two single-player campaigns, one each for the GDI and Nod factions. Which missions the player undertakes further depends on their performance in key areas. The objective of most campaign missions is to destroy or take control of enemy buildings. The missions begin with live-action full motion video (FMV) cutscenes. The original DOS release features multiplayer with up to four players, a rarity at the time. Multiplayer over an Internet connection was added in Command & Conquer Gold, which also features SVGA visuals. The game's Sega Saturn and PlayStation ports lack multiplayer support, but the latter release includes the fifteen single-player missions from The Covert Operations expansion pack. The Nintendo 64 version features updated graphics, with 3D models and environments. The FMV cutscenes were removed and replaced with static images, accompanied by voice acting and sound effects. While the Nintendo 64 version includes four new "Special Ops" missions, it lacks multiplayer support. Command & Conquer is set in an alternate timeline, after a meteorite crashed near the river Tiber in Italy. The meteorite brings with it an extremely toxic alien substance called Tiberium, which becomes highly valuable because of its ability to absorb and crystallize precious metals from the surrounding soil. An ancient, cultic secret society called the Brotherhood of Nod claims to have foreseen the potentials of this new substance, investing in the development of technology to harvest and refine Tiberium crystals ahead of the scientific community. Nod soon controls nearly half of the supply and uses these assets to sustain a rapidly growing army of followers worldwide. The group is led by a self-proclaimed messianic figure known only as Kane. Following a series of international terrorist bombings that culminate in the destruction of the fictional Grain Trade Center in Vienna — attacks which are quickly attributed to the Brotherhood of Nod — the United Nations Security Council realizes that Kane and Nod are commencing a global campaign of terrorism, and authorizes the Global Defense Initiative to intervene on its behalf, setting a conflict in motion that escalates into a world war. Command & Conquer features two sub-plots based on the two playable factions of the game. Commanding the Global Defense Initiative's troops, the player becomes instrumental in eliminating Nod's European forces. Under the command of General Mark Jamison Sheppard, the player completes missions that range from securing a beach, to rescuing civilians and scientists, to defending GDI bases from Nod assaults. Combat occurs in countries of Central and Eastern Europe. A major plot element is an international scandal caused by a Nod media manipulation, which convinces the world that the GDI deliberately attacked and massacred the Polish city of Białystok. This leads to a cut in GDI funding, forcing the player to play several missions with limited forces. Finally, the player besieges the Temple of Nod in Sarajevo, Bosnia, which Kane uses as his main base of operations. As a new recruit in the Brotherhood of Nod, the player initially performs tasks for the Brotherhood's second-in-command, a man known as Seth. After Seth attempts to deploy the player in an operation against the United States military without Kane's approval, Kane kills him and thereafter issues commands to the player directly. The player's goal is to drive GDI forces out of North Africa through the use of both conventional and unconventional warfare. In a ploy to secure victory for Nod, the player is assigned to gain control of GDI's space-based ion cannon, and to establish Nod's Temple in South Africa. The campaign ends with the entire African continent under Nod's control, and with the Brotherhood planning to achieve the same in Europe. The conclusion of the campaign allows the player to choose a historical landmark to destroy with GDI's hijacked ion cannon, in order to shatter GDI's public image. Potential targets include the White House, the British Houses of Parliament, the Eiffel Tower and the Brandenburg Gate. Westwood Studios began developing Command & Conquer in early 1993, after conceiving the game near the end of Dune II’s development. The team sought to build on the foundation laid by their earlier game, and Westwood co-founder Brett Sperry later said that "Command & Conquer was the net result of the Dune II wish list." Following the success of Dune II, Sperry believed that "it was time to build the ultimate RTS" with an original intellectual property. He later said that he was "fanatical about calling the game 'Command & Conquer'," because he believed that the title was an ideal summary of the gameplay. Command & Conquer originally took place in a high fantasy world before being redesigned. The team changed to a modern warfare setting because of the political climate of the mid-1990s, and they later cited the Gulf War as a key influence in this decision. Westwood co-founder Louis Castle said that "[w]ar was in the news and the threat of terrorism was on everyone's mind". The setting was further influenced by Sperry's belief that future wars would not be "nation-to-nation", but would rather be "fought between Western society and a kind of anarchistic terror organization that doesn't have a centralized government." The team sought to make the player feel like their computer was "a terminal to a real battlefield", going so far as to make the installation process resemble hacking a "military infrastructure". However, Castle noted that the team "created [a parallel universe] to avoid dealing with the sobering issues of a real war." In a retrospective, Paul Mallinson of Computer & Video Games (CVG) wrote that the game's production was "speedy, focused and fun". Castle said that, because the company was creating other titles at the time, development of Command & Conquer was not a "working party"; but lead programmer Joe Bostic later said that it was "so much fun that I would sometimes marvel that I actually got paid as well." The game's playtesters were enthusiastic about the game during development, which Castle later said had encouraged the team to work harder. The team created live-action FMV cutscenes for the game. These cutscenes contain no professional actors aside from Kucan, who played Kane and was heavily involved in their production. The cast is made up of Westwood team members, and a low budget meant that filming took place in "spare rooms" and warehouses. Castle later said that the team "had no illusions that we were as good as TV or film," but that the cutscenes were not intentionally campy. He credited Kucan with "taking [a] ragtag group of people who had no business in front of a camera and making something reasonably good." To replace the spice from Dune II, the team introduced Tiberium, which was inspired by the 1957 B-movie The Monolith Monsters. Castle said that the team's goal in both cases was to create "a central resource that everybody was fighting over." As with Dune II, the soundtrack was composed by Frank Klepacki. To create the game's landscapes, the artists took digitized photographs of real world terrain and manipulated them with rendering techniques. The game was released for DOS in 1995. In 1996, the game received a Windows 95 re-release titled Command & Conquer: Gold (also known as C&C 95), featuring SVGA visuals. A port for the Macintosh was released in 1996, with the Sony PlayStation and Sega Saturn versions following in 1996–97, and the Nintendo 64 version arriving on June 29, 1999. Due to a deal between Virgin Interactive and Sega, the console version was a Saturn exclusive until 1997. In 2007, Command & Conquer was released as a free download by Electronic Arts. The game's PlayStation version was later released on the PlayStation Network in Europe. In 1996, Westwood released an expansion pack The Covert Operations, adding 15 new missions, and unlocking an easter egg mini-campaign involving dinosaurs. A spin-off game titled Command & Conquer: Sole Survivor focuses entirely on online multiplayer, putting the players in control of single units in modes such as deathmatch and capture the flag. In 2008, an unofficial patch was released to keep C&C working on both 32 and 64 bit versions of Windows XP and higher. The patch fixes several bugs in the game, and adds upgrades like higher resolution and support for language packs. Command & Conquer was a commercial hit. In the United States, PC Data declared it the fourth-best-selling CD-ROM product across all categories for October 1995, and #7 in the computer game category the following month. It was absent from December's top 10 in the country. By April 1996, Command & Conquer had sold 500,000 copies worldwide, and Westwood Studios reported sales above 1 million units by September of that year. Domestically, the game was the seventh-best-selling computer game for the first half of 1996. The game was particularly popular in France and Germany, and sold 200,000 copies in the latter country by November 1996. Sales across all platforms reached 1.7 million units by February 1997, and the game went on to sell more than three million. Critical reception of Command & Conquer was highly positive. It was named the best strategy game of 1995 by PC Gamer US and—tied with Heroes of Might and Magic: A Strategic Quest—Computer Gaming World, and the year's top real-time strategy title and overall "Game of the Year" by Computer Games Strategy Plus. In 1998, Command & Conquer Gold was nominated at the Academy of Interactive Arts & Sciences' first annual Interactive Achievement Awards in the category "Computer Strategy Game of the Year". Entertainment Weekly's Bob Strauss offered the game effusive praise, writing: "If you liked playing with toy soldiers as a kid, you'll think you've stepped on a land mine and gone to heaven". Strauss believed that its cutscenes, voice clips and "nonstop action" served to "[enliven] the usually stodgy war game genre". After highlighting its multiplayer and citing its installation process as "the coolest [...] I've ever seen", he concluded that the game "makes other war simulations look as flat as Risk." A reviewer for Next Generation called it "a game that any strategy fan has to pick up." While complaining at the lack of a high-resolution mode, he applauded the gameplay for its combination of simple and intuitive control with deep and complex strategy, and said the full motion video cutscenes add considerably to the game's depth. He also complimented the soundtrack and fast pace. Peter Smith of Computer Games Magazine called Command & Conquer "an adrenaline rush in a box", writing: "Everything about this game shouts quality." Smith lauded the game's music and sound effects, gameplay and story, and even its install program. Smith noted some minor problems, citing issues with the game's artificial intelligence, but finished by saying that "Westwood has really raised the bar with this one." Chris Hudak of GameSpot wrote: "Starting from the load-screens and straight on 'til morning, Command & Conquer is one of the finest, most brilliantly-designed computer games I have ever seen." Martin E. Cirulis of Computer Gaming World wrote that Command & Conquer "remains mainly a good, networkable version of Dune II". Cirulis found the game's interface intuitive and described its online component as "sophisticated and easy-to-use", also praising its story for being "as interesting as the actual tactics and gunfire", and commented that he "would buy C&C2 just to see where things are going to end up". However, according to him, the developers failed "to correct major shortcomings" in Dune II, as its fog of war does not fit with the real-world setting, also finding fault with design choices in the game's missions, which he believed were structured like "puzzles" that allowed for only one way to win. Nevertheless, he concluded that it remained "the best-looking and sounding strategy game yet" despite its flaws, and that it was "more than entertaining enough to make up for its shortcomings." Writing for PC Gamer US, T. Liam McDonald wrote that the game "has all the playability of Dune II, but with more diverse units, more unusual scenarios, and impressively executed wraparound cutscenes." McDonald called its combat a "satisfying blend of action and strategy", and noted that this, combined with an attention to "little details", made the game a "success", also praising its cutscenes as "terrifically executed". Although he was disappointed that the game lacked "fancier terrain or another zoom level", McDonald concluded: "This game is a whole lot of fun, so get it, play it, and love it like your own child." The Electronic Gaming Monthly review team gave the Saturn version their "Game of the Month" award, citing the excellent translation of the PC version, accessible gameplay, and numerous strategic options, though they criticized that the soldier graphics are too small. All four of them gave identical scores to the PlayStation version, though they noted it had marginally exceeded the Saturn version by including additional missions. Rich Leadbetter of Sega Saturn Magazine also praised the game's accessibility, as well as the mission design, effective point-and-click control with the gamepad, and strong AI for both enemy and allied troops. However, he said the game could have been done on the Sega CD, and objected to the omission of the PC version's multiplayer mode, contending that had it been included Command & Conquer would have been one of the Saturn's best games. Major Mike reviewed both the Saturn and PlayStation versions in the same issue of GamePro. He described them as largely the same, and said they both suffer from inaccurate cursor movement, but recommended them for their strong gameplay, sound effects, and graphics, especially the full motion video. Next Generation deemed the Saturn version "the triumphant high point of [the] real-time strategy genre for home consoles." Like Leadbetter, the reviewer highly criticized the removal of multiplayer support, but argued that the lowered graphics resolution would only be noticeable to players of the PC version, and identified the remixed redbook soundtrack and added transparencies as improvements over the PC version. Reviewing Command & Conquer’s Sega Saturn port, Next Generation Online commented that it did little to improve the core game, and noted its lower resolution and missing multiplayer functionality as significant negatives. However, the review still called it one of the console's best games and a "must-buy for Saturn owners". CVG’s Kim Randell wrote that the Saturn version is "up there with AM2's finest games" and "a joy to play", as it "thrives on deceptively simple gameplay" despite its unimpressive graphics and sound, and adding that the later missions are "masterpieces of gaming design". Randell believed that the port's missing multiplayer mode would have made it as good as Virtua Fighter 2 and NiGHTS Into Dreams, but that it "isn't far off this realm of excellence" without it. Game Informer's three reviewers praised the Saturn and PlayStation ports of Command & Conquer. While the magazine's Andy McNamara wrote that "the best way to play C&C is on the PC", he called the console version a "fantastic port" marred only by "rather clumsy" controls and the inability to save in the middle of a mission. Andrew Reiner agreed, calling it a "flawless PC port" that "perfectly" recreates the thrills of the original; but he was displeased that it did not feature multiplayer support. Jon Storm summarized it as "an excellent addition to any PlayStation or Saturn library." Glenn Rubenstein noted in his review that the score he was giving the Saturn version was the highest GameSpot had yet given to any console game, even exceeding Super Mario 64 and Tomb Raider. He said the game had converted well to Saturn, and in particular contested the way other critics counted the omission of multiplayer against it, saying that such a feature was beyond the console's capabilities. He concluded, "With its mix of in-depth strategy, tactical action, and slick storytelling, Command & Conquer brings console strategy games out of the shadow they've lived in for so long." Though he noted the PlayStation version had the advantage of additional missions, he held it to be slightly inferior to the Saturn version due to the faster speed at which it plays. He also criticized the lack of multiplayer, noting that the PlayStation Link Cable could have been used (apparently unaware that a similar link cable was available for the Saturn). A reviewer for Next Generation wrote: "Just like the ported Saturn version, PSX [PlayStation] C&C adds little to the existing game." The review's author cited the lower resolution and lack of multiplayer as low points, but noted that the addition of the Covert Operations missions "adds to the overall replay value". 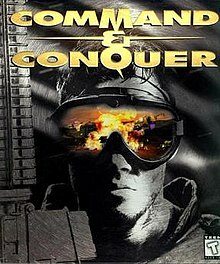 Reviewing the Nintendo 64 version of Command & Conquer, Erik Reppen of Game Informer wrote that it "has done an amazing job of completely reworking the old levels into a 3D polygonal format." Although he said that the game "offers plenty to keep you entertained", he disliked the heavy sound compression and the loss of the FMV cutscenes present in earlier versions. IGN's Aaron Boulding opened his review by saying: "To their credit, Looking Glass developed Command & Conquer with all of the elements you want from a quality RTS." Boulding praised the gameplay and the Special Ops missions, but noted that most of the units were distinct from the PC version. He was less happy with the port's graphics, calling them "hit and miss", though he lauded the audio effects and voice work. Boulding also said the controls were well handled, though a bit complicated, and concluded: "Command & Conquer is a fine game and may get a little addictive for anyone who never got into the PC version of the game. But for anyone who ran through the old version, the N64 won't offer much in the way of new thrills beyond the new N64 missions and the 3D world." Next Generation commented that, while earlier ports had trouble recreating the mouse controls of the original, the Nintendo 64 version "handles it beautifully". The review's author stated that the controller's analog stick "allow[s for] the same simple point and click interface as the PC", adding that "the entire interface is equally responsive and well planned." The reviewer praised its graphics and audio, even calling the voice acting "the most competent [...] ever to appear en masse on the platform", but disliked its lack of multiplayer support, and concluded that the port "keeps the spirit of the game perfectly while adapting it wonderfully to the limitations of the N64". James Bottorff of The Cincinnati Enquirer believed that advancements in the real-time strategy genre rendered the Nintendo 64 port outdated, despite its new "bells and whistles". However, Bottorff wrote that those who had not played earlier Command & Conquer releases would find it "highly addictive", adding that its "controls are surprisingly good for a PC port." Command & Conquer spawned the Command & Conquer franchise, which sold 30 million copies in total by November 2009. The story of the game continued in the Tiberian series, including an action title Command & Conquer: Renegade that revisits the original game's First Tiberium War. In 1996, Westwood launched the prequel series Red Alert, telling the story of a global conflict between the Western nations and the Soviet Union which took place instead of World War II. The game has also been cited as a large influence on the real-time strategy genre overall. In 1996, Computer Gaming World ranked Command & Conquer as the 48th best game of all time, opining that despite being not "as complete a design as Warcraft II", the game set "a new standard for great multiplayer play". That same year, Next Generation ranked it as the 49th top game of all time for how "it brought war gaming out of prehistoric, hexagonal mire and made it cool". CVG’s Mallinson wrote in 2002 that "hundreds of other strategy games", from StarCraft to Age of Empires, had borrowed concepts from Command & Conquer and "the RTS genre is still thriving, and that is all thanks to Command & Conquer". Bruce Geryk of GameSpot commented that "the name [Command & Conquer] is nearly synonymous with RTS gaming"; and GameSpy's Mark Walker wrote that "Warcraft and Dune II were little more than warm up acts" for Command & Conquer, which "blew open the genre", and credited the title with popularizing real-time strategy games in the years following its release. Dan Adams of IGN wrote that the game, alongside Warcraft: Orcs & Humans, "cemented the popularity" of the real-time strategy genre in the wake of Dune II. Polish web portal Wirtualna Polska ranked it as the seventh most addictive game "that stole our childhood". ^ "The tale of a release date". C&C Communications Center. January 29, 2018. Retrieved January 31, 2018. ^ a b Alexander, Leigh (November 27, 2009). "Interview: Van Caneghem Talks EALA's Vision, Command & Conquer". Gamasutra. Retrieved December 7, 2012. ^ "Today's Free Game: Command & Conquer". IGN.com. February 10, 2012. Retrieved June 19, 2017. ^ a b c d e f McDonald, T. Liam (November 1995). "Command & Conquer". PC Gamer US. Archived from the original on December 5, 1999. ^ a b c d e Cirulis, Martin E. (December 1995). "Earth In Flames". Computer Gaming World (137): 352–354, 356. ^ Westwood Studios (October 23, 1998). "Official Command & Conquer Gold FAQ v1.3". Retrieved May 13, 2007. ^ Westwood Studios (February 6, 1996). "Official Command & Conquer Read Me v2.7", C&C: The Covert Operations CD-ROM. ^ a b c Smith, Peter (1996). "Command & Conquer: Westwood has really raised the bar with this one". Computer Games Magazine. Archived from the original on May 23, 2003. ^ Leadbetter, Richard (January 1997). "Let the Base Kick!". Sega Saturn Magazine. No. 15. Emap International Limited. pp. 48–51. ^ a b c d e f g h i j k l m n o Mallinson, Paul (May 31, 2002). "Games that changed the world: Command & Conquer". Computer & Video Games. Archived from the original on June 27, 2009. ^ Stephen Poole (April 16, 1997). "Command & Conquer Gold Edition for PC Review". GameSpot. Archived from the original on March 19, 2005. Retrieved December 27, 2006. ^ a b McNamara, Andy; Storm, Jon; Reiner, Andrew (March 1997). "C and C Consoles Itself on Saturn and PlayStation". Game Informer. Archived from the original on September 30, 1999. ^ a b Staff (March 18, 1997). "Review: Command & Conquer". Next Generation. Archived from the original on April 19, 1997. ^ a b c d e f g Boulding, Aaron (June 29, 1999). "Command & Conquer". IGN. Archived from the original on December 18, 2012. Retrieved December 11, 2012. ^ a b c Staff (July 2, 1999). "Command & Conquer". Next Generation. Archived from the original on November 13, 1999. ^ Westwood Studios (1995). Command & Conquer. Virgin Interactive. EVA: Tiberium is named after the Tiber river in Italy where it was first discovered. ^ Westwood Studios (1995). Command & Conquer. Virgin Interactive. EVA: Human contact with Tiberium is extremely toxic and often fatal; exposure should be avoided. ^ Westwood Studios (1995). Command & Conquer. Virgin Interactive. EVA: Tiberium continues to confound the scientific community, soaking up ground minerals and soil nutrients like a sponge. The end result of this unique leeching process creates the formation of Tiberium crystals, rich in precious metals and available for collection with a minimum of mining expense. ^ Westwood Studios (1995). Command & Conquer. Virgin Interactive. Male newscaster: New Tiberium harvesting methods instituted by the Brotherhood of Nod increased profitability by 49%. ^ Westwood Studios (1995). Command & Conquer. Virgin Interactive. Male newscaster: Nod Tiberium holdings now account for almost half of the world's known supply, giving the quasi-terrorist group incredible leverage in the London Gold Exchange. ^ Westwood Studios (1995). Command & Conquer. Virgin Interactive. Female newscaster: Kane, the single-named charismatic Nod leader and self-proclaimed prophet is among those missing and assumed dead. ^ a b Westwood Studios (1995). Command & Conquer. Virgin Interactive. Male newscaster: The Grain Trade Center in Vienna was the seventeenth urban bombing in four weeks, blamed on Nod terrorists. ^ Westwood Studios (1995). Command & Conquer. Virgin Interactive. EVA: Sanctioned by the United Nations, the Global Defense Initiative has one goal: eliminate multi-national terrorism in an effort to preserve freedom. ^ EA Los Angeles (2007). Command & Conquer 3: Tiberium Wars. Electronic Arts. GDI Archives; The Global Defense Initiative: The clash between GDI and Nod has escalated into full world wars twice before – the First Tiberium War (TWI) erupted when both powers were in their formative states, and that terrible war was followed by another worldwide firestorm several years later. ^ Westwood Studios (1995). Command & Conquer. Virgin Interactive. General Mark Jamison Sheppard: We found him, Commander. Kane's temple and base of operations. This field operative's covert transmission came to us live just five minutes ago, so there's no doubt that Kane's inside. He surrounded himself with his own crack militia. Getting to him... won't be easy. Ironic, isn't it? Kane's planted his temple just outside Sarajevo. ^ Westwood Studios (1995). Command & Conquer. Virgin Interactive. Seth: So. You're the new addition to the Brotherhood. Well, I'm Seth. Just Seth. From God, to Kane, to Seth. ^ Westwood Studios (1995). Command & Conquer. Virgin Interactive. Kane: Yes, power shifts more quickly than some people think. I am Kane. While I heed your troops back from the States, I want you to take what men you have left and secure this abandoned GDI base. Once in, build up an arsenal of weapons and use them to wipe out the remaining GDI presence. Oh, and congratulations on your promotion. ^ Westwood Studios (1995). Command & Conquer. Virgin Interactive. Kane: Your efforts have landed us here, my faithful friend. The temple is complete, and we are about to embark upon our greatest exploit. For now relax, and watch as my netrunners dance through the web of cyberspace. Once inside, the world is at my fingertips. ^ Westwood Studios (1995). Command & Conquer. Virgin Interactive. Kane: ...the world. Where to strike? Where will the world most keenly feel the blade of GDI treachery? You have done much to aid the Brotherhood towards this final victory. The choice, my friend, is yours. ^ a b c d e f g h Bruce Geryk. "A History of Real-Time Strategy Games". GameSpot. Archived from the original on April 5, 2001. Retrieved May 22, 2008. ^ a b c d Porter, Will (February 28, 2008). "Command & Conquer – Origins". Computer & Video Games. Archived from the original on March 29, 2008. ^ Klepacki, Frank (2012). "Credits". Retrieved December 14, 2012. ^ "Command & Conquer". Next Generation. Imagine Media (4): 72–75. April 1995. ^ a b Madar, Daniel (May 1997). "Command & Conquer; War Game Doesn't Disappoint". Macworld. p. 84. Archived from the original on May 2, 1998. ^ "Sony's Video Games Onslaught Continues!". Maximum: The Video Game Magazine. Emap International Limited (7): 72–73. June 1996. ^ "C&C 12th ANNIVERSARY! DOWNLOAD C&C GOLD FREE". Electronic Arts. August 31, 2007. Archived from the original on September 1, 2007. Retrieved September 1, 2007. ^ Alexander, Jem (April 24, 2008). "European PSN Store update for April 24th". Kotaku. Retrieved December 14, 2012. ^ Park, Andrew (July 7, 2009). "Command & Conquer: A Retrospective". GameSpot. Archived from the original on December 4, 2012. Retrieved December 9, 2012. ^ "Command & Conquer: The Covert Operations Game FAQ". July 22, 2002. Archived from the original on March 11, 2015. Retrieved December 27, 2017. ^ Sebayang, Andreas (May 27, 2008). "High-Res-Patch für Command & Conquer 95 – Klassiker lässt sich nun in höherer Auflösung spielen". Golem.de (in German). Archived from the original on November 5, 2013. Retrieved November 3, 2013. ^ "Command & Conquer Gold Project 1.06". ^ Staff (February 6, 1996). "Top-Selling CD-ROMs". PC Magazine. Vol. 15 no. 3. p. 34. ^ Staff (April 1996). "Eyewitness; More Worlds to Conquer". PC Gamer US. 3 (4): 55. ^ "Westwood Studios Dominates Windows 95" (Press release). Las Vegas: Westwood Studios. September 19, 1996. Archived from the original on June 5, 1997. ^ Yoshitake, Dawn (September 14, 1996). "A whole new ball game". News.com. Archived from the original on June 6, 1997. ^ "Westwood Studios Conquers the Sony PlayStation" (Press release). Las Vegas: Westwood Studios. February 27, 1997. Archived from the original on February 2, 1999. ^ "Command & Conquer for Saturn". GameRankings. CBS Interactive. Retrieved June 10, 2018. ^ "Command & Conquer for PlayStation". GameRankings. CBS Interactive. Retrieved June 10, 2018. ^ "Command & Conquer for Nintendo 64". GameRankings. CBS Interactive. Retrieved June 10, 2018. ^ "Command & Conquer for PC Reviews". Metacritic. CBS Interactive. Archived from the original on December 28, 2012. Retrieved December 6, 2012. ^ Dustin McKim. "Command & Conquer Review (Windows)". Allgame. Archived from the original on November 14, 2014. Retrieved September 25, 2016. ^ Jonathan Sutyak. "Command & Conquer Review (Sega Saturn)". Allgame. Archived from the original on November 14, 2014. Retrieved September 25, 2016. ^ Lisa Karen Savignano. "Command & Conquer Review (Macintosh)". Allgame. Archived from the original on November 14, 2014. Retrieved September 25, 2016. ^ Dustin McKim. "Command & Conquer Review (PS)". Allgame. Archived from the original on November 14, 2014. Retrieved September 25, 2016. ^ Scott Alan Marriott. "Command & Conquer Review (N64)". Allgame. Archived from the original on November 14, 2014. Retrieved September 25, 2016. ^ a b "Review Crew: Command & Conquer". Electronic Gaming Monthly. No. 91. Ziff Davis. February 1997. p. 56. ^ a b "Review Crew: Command & Conquer". Electronic Gaming Monthly. No. 95. Ziff Davis. June 1997. p. 46. ^ a b Hudak, Chris (May 1, 1996). "Command & Conquer Review". GameSpot. CBS Interactive. Archived from the original on February 6, 2013. Retrieved December 6, 2012. ^ a b Rubenstein, Glenn (January 16, 1997). "Command & Conquer Review". GameSpot. Retrieved October 9, 2018. ^ a b Rubenstein, Glenn (March 27, 1997). "Command & Conquer Review". GameSpot. Retrieved October 9, 2018. ^ a b Strauss, Bob (November 17, 1995). "Digital Review; Command & Conquer". Entertainment Weekly. Archived from the original on April 25, 2009. ^ a b "Victorious". Next Generation. Imagine Media (12): 192. December 1995. ^ a b "War God". Next Generation. No. 29. Imagine Media. May 1997. p. 150. ^ a b Leadbetter, Rich (January 1997). "Review: Command & Conquer". Sega Saturn Magazine. No. 15. Emap International Limited. pp. 72–73. ^ Loyola, Roman (July 1997). "The Game Room". MacUser. Archived from the original on July 25, 2001. ^ "Saturn ProReview: Command & Conquer". GamePro. No. 102. IDG. March 1997. p. 84. ^ "PlayStation ProReview: Command & Conquer". GamePro. No. 102. IDG. March 1997. p. 76. ^ Staff (February 4, 1998). "Command & Conquer; The number one PC hit title has finally hit the Saturn". Next Generation. Archived from the original on August 31, 1999. ^ Randell, Kim. "Command and Conquer". Computer & Video Games. Archived from the original on September 10, 2007. ^ Reppen, Erik (October 29, 1999). "Command & Conquer". Game Informer. Archived from the original on June 1, 2000. ^ Bottorff, James. "Nintendo Command & Conquer like deja vu". The Cincinnati Enquirer. Archived from the original on November 28, 1999. ^ a b Mark H. Walker. "Strategy Gaming: Part II". GameSpy. Archived from the original on June 26, 2008. Retrieved May 22, 2008. ^ Staff (November 1996). "150 Best Games of All Time". Computer Gaming World (148): 64, 65, 68, 72, 74, 76, 78, 80. ^ Next Generation 21 (September 1996), p.52. ^ Walker, Mark. "Strategy Gaming: Part I -- A Primer". GameSpy. Archived from the original on October 30, 2007. Retrieved October 28, 2007. ^ Dan Adams (April 7, 2006). "The State of the RTS". IGN. Archived from the original on May 11, 2008. Retrieved May 22, 2008.